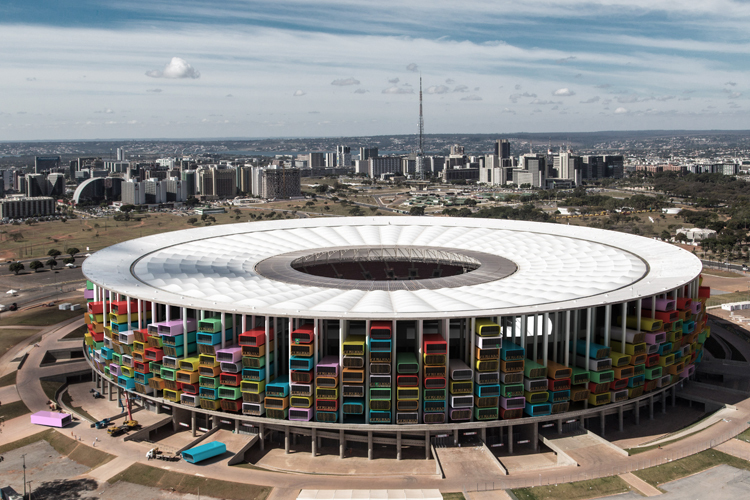 Based on conceptual designs for repurposing Brazil's World Cup stadiums into apartments, Mashable today bemoans the failure of concepts like these to take shape. 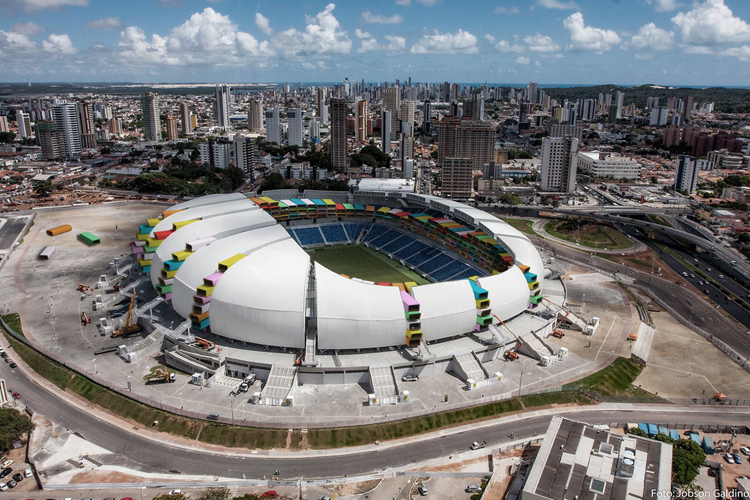 It's a fantastic article that questions the purpose of all conceptual design, but what a boring world it would be if designers were dissuaded from imagining the improbable! Architecture Animée is simply a collection of animated GIFS, offering viewers of great architectural works (like the above VitraHaus by Herzog & de Meuron) different perceptions of a building. 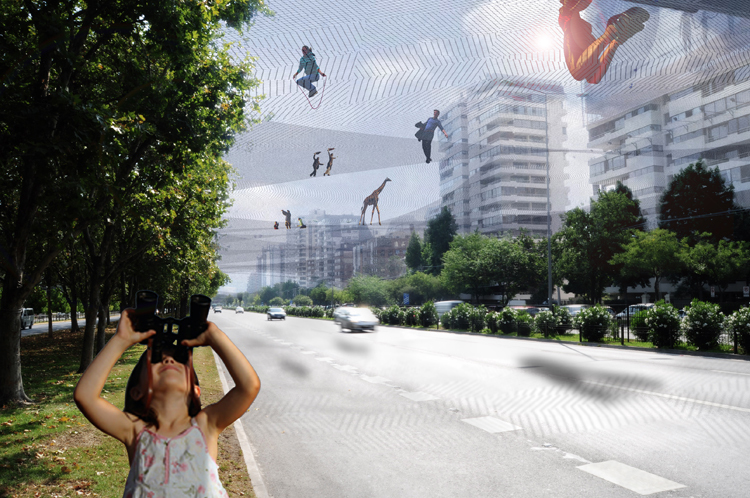 1W1P proposes that Net Bridge be suspended over a busy street in Santiago, Chile, to allow for crossing pedestrians and to create what looks like some ridiculously fun recreational space. 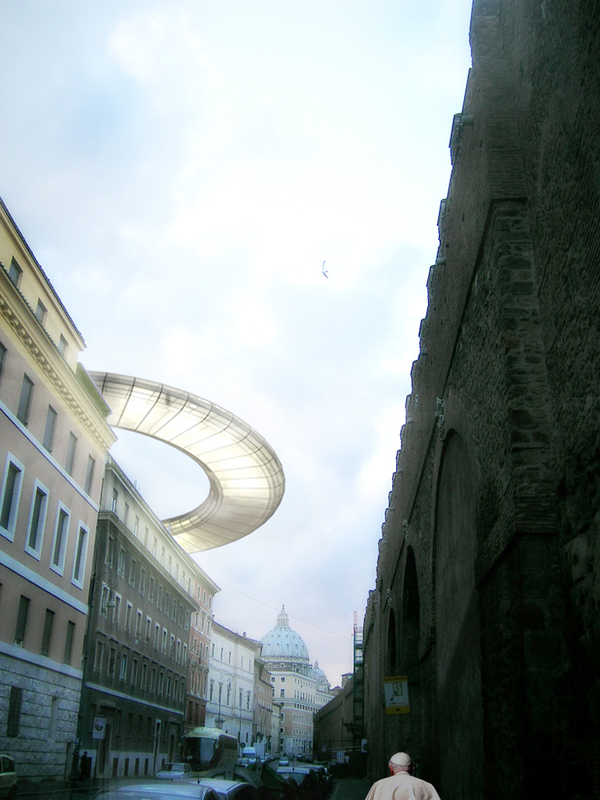 For the retired Pope Benedict XVI, 1W1P thought up Ciao Papam, a halo-shaped retreat resting upon the rooftops of Rome. My knowledge of French doesn't include architectural terms, so I'm not quite clear on the technical aspects of this one, but Folding Way proposes to cover a portion of the Seine (I think?) 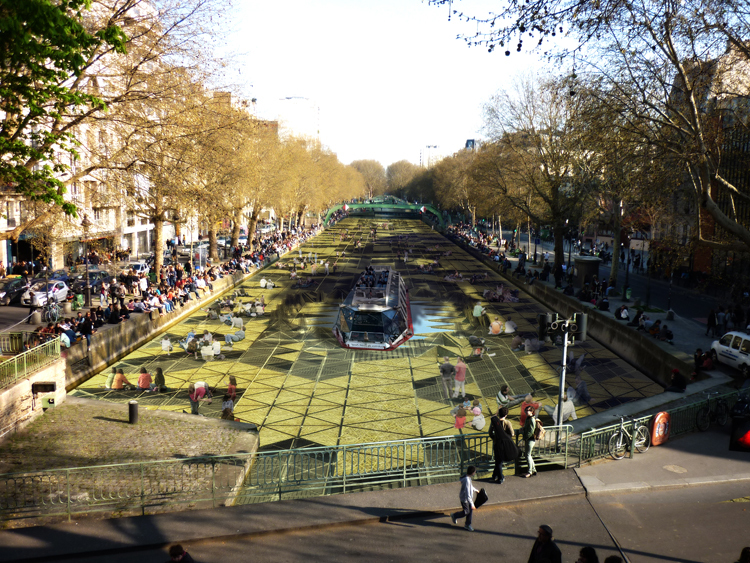 in green space that folds away to allow boats to pass through. Finally, my favorite creation by 1W1P actually took form for de Stampa's wedding! 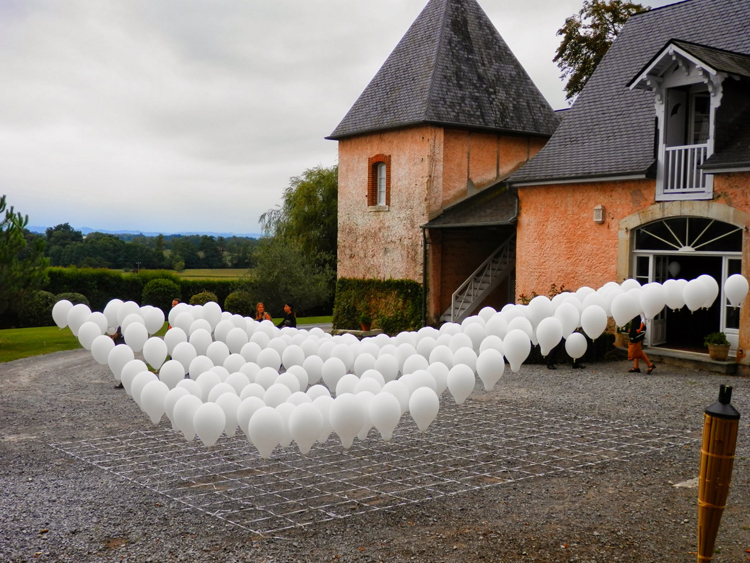 Wedding Surface is a levitated surface composed of 289 helium balloons and representing two newlyweds floating through the air.